If you take a look at the 2011 kiteboard lineup by Airush you will surely be impressed. Their team has put a lot of work and effort in the process of research and development of the new models to make sure they will meet the highest quality standards, as well as the most demanding needs of the riders out there. The 2011 Quad is a board intended for the wave riders who love to surf in onshore or offshore waters and feel the need to be free out on the waves. 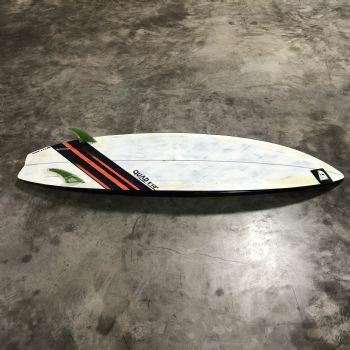 The board features a slightly compact and narrower outline and a hydrodynamic profile which allows it to cut easily through any type of waves and offer a smooth and fast ride. The board uses a quad fin configuration to optimize the power delivery and increase the grip. The ?fish? tail shape of the board assures excellent water release and provides plenty of pop for nice jumps and lifts. The board has also good upwind and early planning potential. 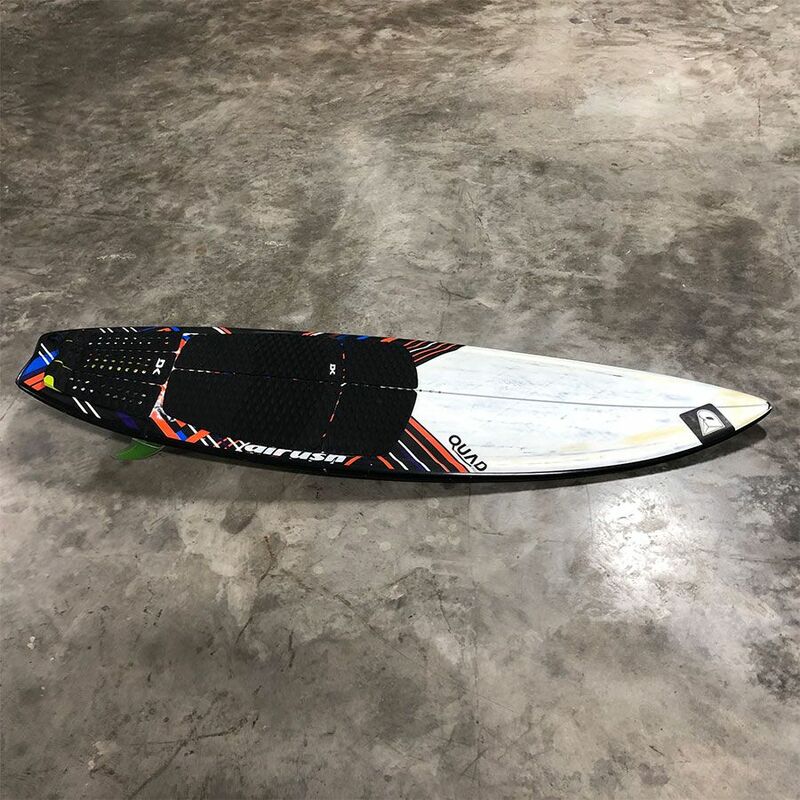 The rider can enjoy a fast ride or extreme moves easy and without much effort, while the board is incredible stable and offers a very responsive steering. Airush has used an intermediate rocker on the Quad, to make sure it offers a high top speed and extra power. At the same time the straight rails provide excellent maneuverability and increase the overall control. With the Airush Quad, the rider can perform any maneuver he wishes effortless and totally safe. The board is available in two construction technologies. First it is the ACTive Carbon technology, which is based on high quality carbon fibers and significantly increases the durability of the board without affecting the flex, and second, the Flytech II technology, using a reduced core density, directional glass and foam sandwich structure. The Flytech II structure makes the board extremely light and responsive. Either in Flytech II or in ACTive Carbon technology, the Airush Quad is an excellent kiteboard.